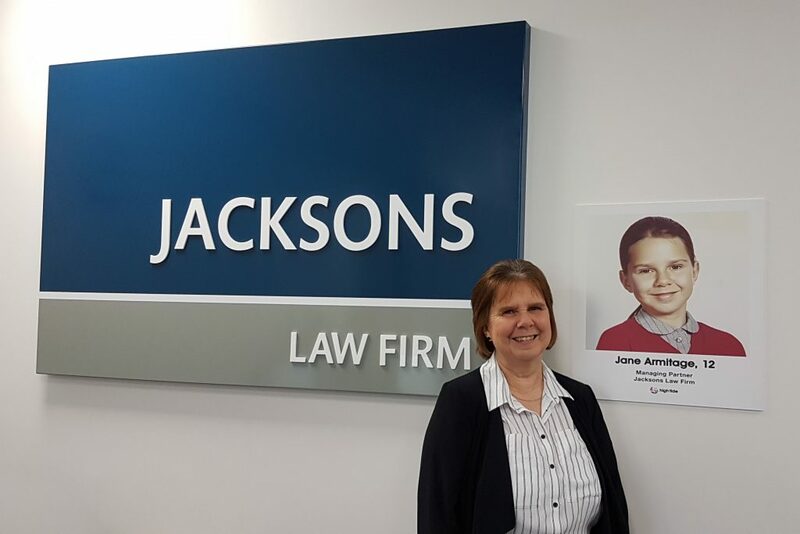 Jacksons Law is one of the longest established law firms in the North East of England, offering business and personal legal solutions. The company has supported High Tide since the Foundation began in 2012 and recently became a corporate partner. “We were impressed with the opportunities for young people to learn about careers they may not have known existed, and to spend time engaging with local businesses in which they might work in the future,” Jane continued. Jacksons has been involved with several of the Foundation’s activities over the years, beginning with week-long placements. “Last year we participated in Law Week, hosting students at our offices and organising a series of activities including a mock trial to give a taste of what is involved in a legal career,” Jane said. The company has also participated in a number of High Tide fundraising events, such as the Winter Ball and has also benefited from its engagement with the Foundation. While working with the Foundation, Jacksons has won a number of awards such as Property Law Firm of The Year 2017 and Insider Media Property Law Firm of The Year 2018, along with being shortlisted in the Tees Business Women’s Awards in 2019 for its training programme. The company has recently moved into new offices at Preston Farm which has allowed it to develop programmes to train its future workforce thanks to its exciting apprenticeship programme. This is alongside expanding many of its departments and providing specialist legal advice to clients with excellent customer service, made possible by 100 per cent of staff completing a customer care qualification. Jacksons is widely acknowledged as one of the most progressive law firms in the area, with 40 per cent of its staff having flexible working hours. High Tide is delighted to have Jacksons Law Firm as a corporate partner, supporting the young people of Teesside through life changing industry-led work experience programmes and careers activities. What did you aspire to be as a young girl? A librarian! I think I thought it meant I would be paid to bury my head in a good novel and would see all the new books coming in to the library. I learned about careers in law at a career fair at school when I was about 16 and went on to investigate further. You cannot always plan the whole of your career at the start and just because you don’t follow the exact plan you expected, doesn’t mean you won’t have a very successful and enjoyable career. When I was looking for a training contract I thought I had to get a job in the London or fail. I had an excellent training contract in Bristol and when I moved to the North East for family reasons, my career was fulfilling – I have had great opportunities in Teesside which would probably not have been offered to me in that London job. Sometimes you need to put your head above the parapet and be brave. As a young solicitor I would give my ideas to other people to progress, but I learned that you need to be brave enough to put suggestions forward and to back your own ideas.